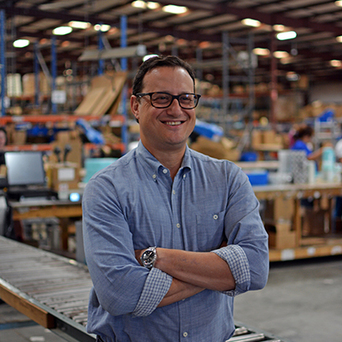 In 2001, Ayal Latz launched a2b Fulfillment out of a personal need for quality, affordable fulfillment services for his toy company, Latz Chance Games. After several unsatisfactory attempts at outsourcing fulfillment, he concluded that Latz Chance, as well as other companies in their industry, deserved a better solution. Latz set out with the goal of creating a cost-effective, service-oriented third-party logistics solution that would help businesses compete, succeed and grow. a2b started servicing a few toy manufacturers out of a 2,000 square foot room. Today, four locations totaling 680,000 square feet of warehouse space are outfitted to serve clients within multiple fields, including e-commerce, direct response and direct selling. Latz created a cost-effective solution to help businesses compete, succeed and grow. In July 2018, a2b Fulfillment opened its doors to a 120,000 square foot warehouse in Ogden, Utah. This location combined with its eastern locations allows even faster delivery. “Our bicoastal approach enables us to reach 94 percent of the U.S. households in two days or less via ground service,” says Latz. In addition to order fulfillment and warehousing, a2b has also expanded its portfolio of services over the years to provide a more holistic approach to the outsourced solution. a2b also offers order management technology (CRM, subscription/continuity, payment processing), value-added services (kitting, assembly, reverse logistics), and customer care via live agent calls, email and chat. 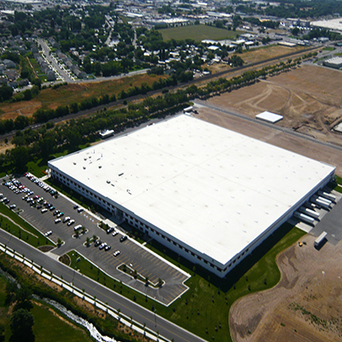 Aerial view of a2b Fulfillment center in Ogden.